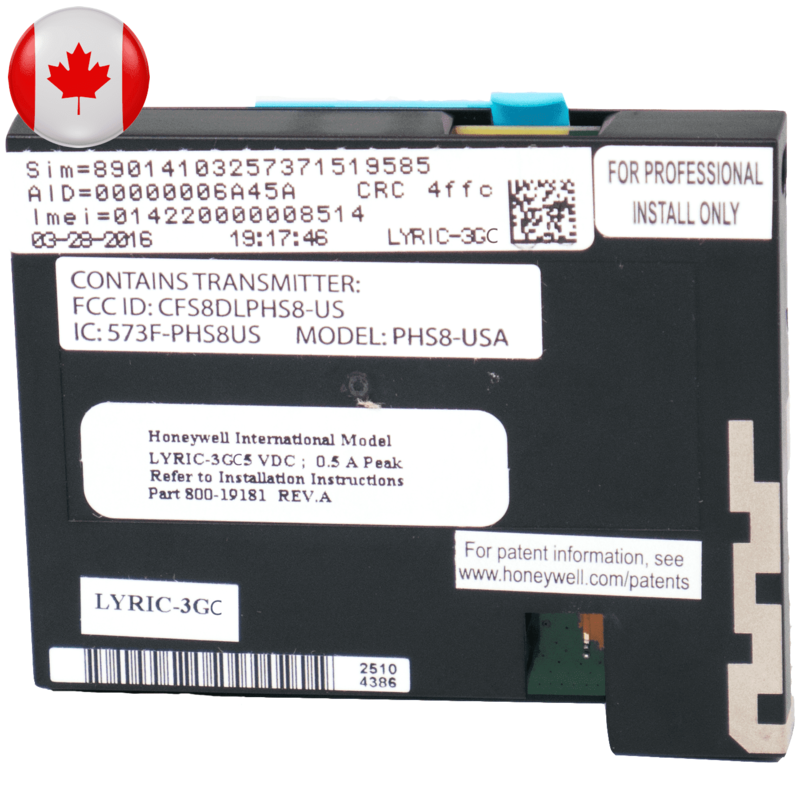 The Honeywell LYRICLTE-C is a cellular alarm communicator, designed for use with the Honeywell Lyric Controller (LCP500-LC), that sends UMTS/HSPA dual-band alarm signals over the Bell cellular LTE Canada towers to AlarmClub's central station. The LYRICLTE-C is easy to maintain and replace with the snap-in design installation. Easy to diagnose LED's provide signal strength and status indication. Through this LYRICLTE-C cellular alarm communicator, control panel data can be uploaded and downloaded via the LTE module which furthers the simplication of the setup. These next-generation Lyric communicators utilize 128-bit AES encryption for a higher level of security.